Elevate your bathroom experience. 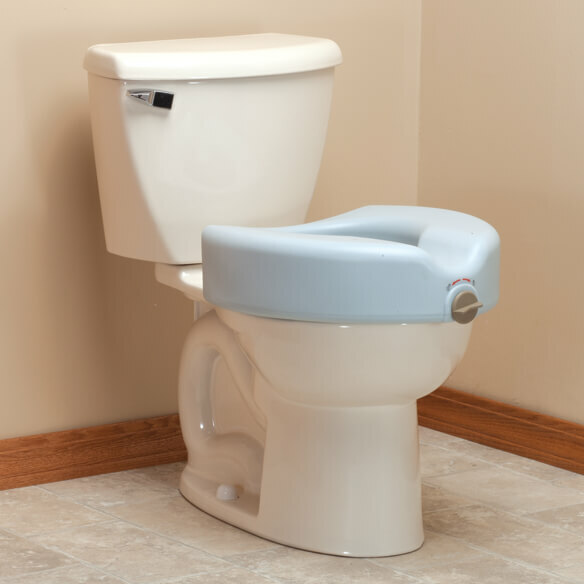 This antimicrobial locking raised toilet seat's wide, contoured surface adds a full 5" of height — perfect for anyone with arthritis, limited mobility or post-surgery limitations. Built-in Microban® antimicrobial protection helps prevent stains and odor-causing bacteria, mold and mildew, helping your seat stay cleaner longer. 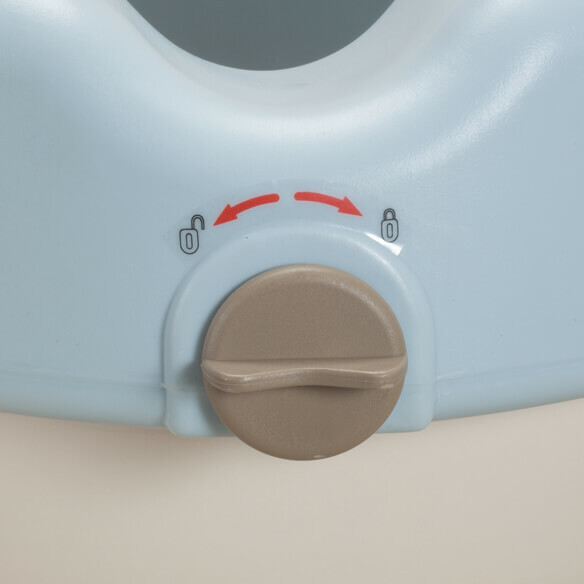 Easy-to-use locking knob on the front secures the elevated toilet seat to the toilet. 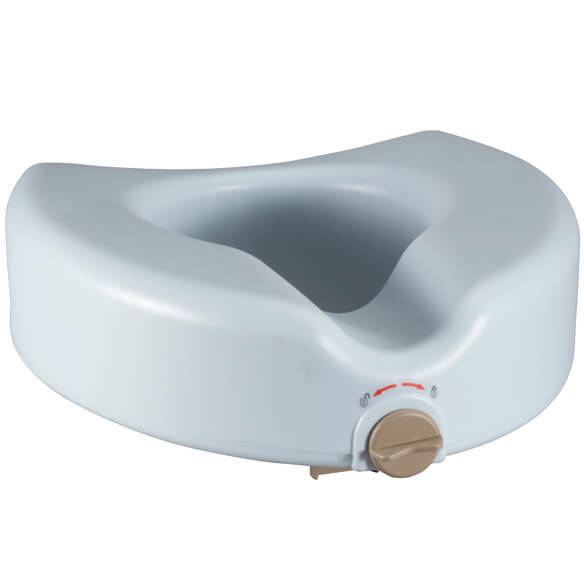 Tool-free assembly; fits most toilet bowls 11"–14"L.
Toilet seat booster supports up to 350 lbs. To put less distance between me and the toilet. I also like the antibacterial aspect. I like the antibacterial feature and the locking knob. Need to order this seat and I want to know if it is soft? BEST ANSWER: Thank you for your question. It is not soft; it is not a cushion. We hope this information will be of help to you. Does this fit elongated toilets? BEST ANSWER: Thank you for your question. No, this fits on standard toilets only. We hope this information will be of help to you. Is this a cushioned toilet seat? BEST ANSWER: Thank you for your question. It is not cushioned. We hope this information will be of help to you. BEST ANSWER: Thank you for your question. We only have it in the one color shown. We hope this information will be of help to you.